Fight fire with water, on water? It's possible with this fire boat. Includes boat fire monitor, transport trailer, firefighter and accessories. 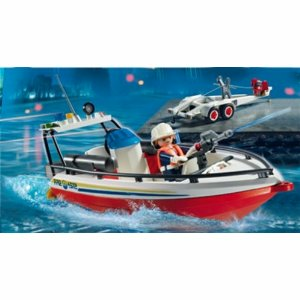 Compatable with Playmobil Water Jet Motor.